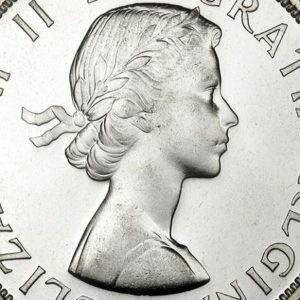 The obverse of the 1/10 oz gold Maple Leaf hosts a current portrait of Queen Elizabeth II, Canada’s head of state, as well as the coin’s face value $5, and the year of manufacture, 2018. 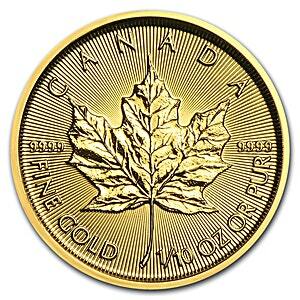 The reverse of the coin features a stylised Maple Leaf together with the gold coin’s purity 9999. The 2018 gold Maple Leaf coins feature innovative high security details in the form of precision radial lines on both coin faces.